Ice-O-Matic IOMQ replacement cartridge for IFQ-1 water filtration and scale inhibitor system. IFQ Series water treatment systems reduce sediment down to 1/2 micron and reduce chlorine, taste and odor at a flow rate of up to 1.5 gpm. The systems include IsoNet®, which delivers consistent protection against the precipitation and accumulation of scale and provides a protective barrier to help guard against corrosion. Scale Inhibitor: Removes scale build-up in ice makers. Maximum Space Utilization: All manifold filter systems mount to walls, taking up a minimal amount of space. Activated Carbon: Activated carbon removes taste and odor. Sediment Removal: Removes sediment in the water. 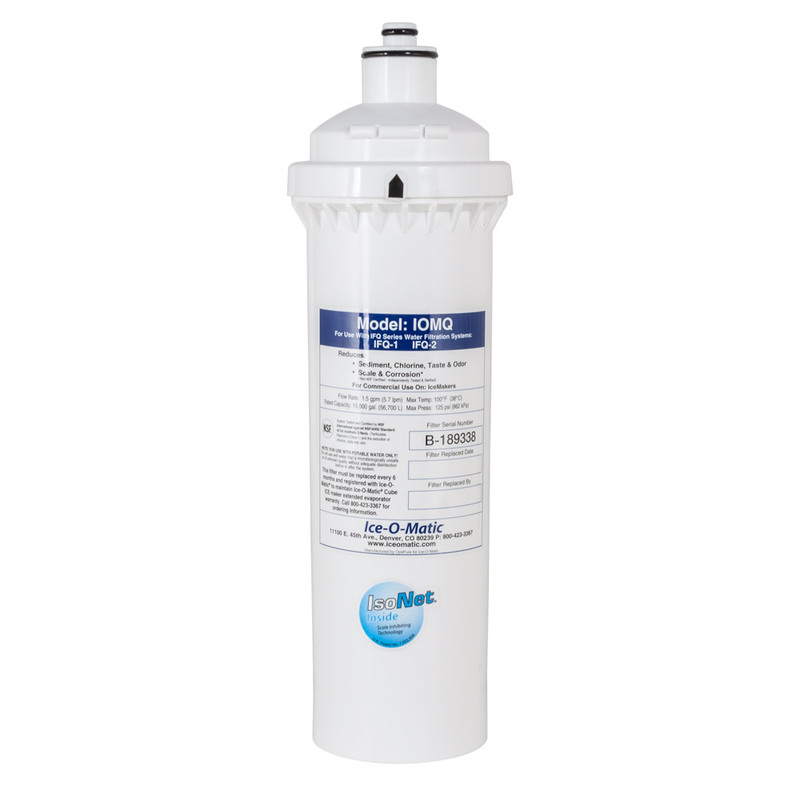 This replacement filter qualifies for Ice-O-Matic's Extended Warranty Program if purchased with a new Ice-O-Matic ICE series ice maker (USA and Canada only). Buy a new Ice-O-Matic Water Filter System with a new ICE Series™ Cube ice maker, replace the filter cartridge every 6 months, and Ice-O-Matic will extend the limited cuber evaporator warranty to 7 years parts and labor (USA and Canada only). New ice maker and filter must be installed at the same time. 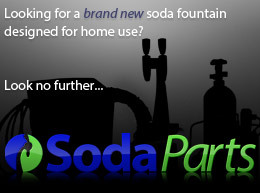 Ice maker and water filter must be registered with Ice-O-Matic within 10 days of installation. Register ice maker and filter at www.iceomatic.com. Water filters must be changed every 180 days (6 months), at a minimum. All changes must be registered with Ice-O-Matic and include the water filter’s model and serial numbers. Register water filter changes at www.iceomatic.com.